YMV Yacht davits has high strength and easy to operate. Capacity range is 500 kg- 3t. 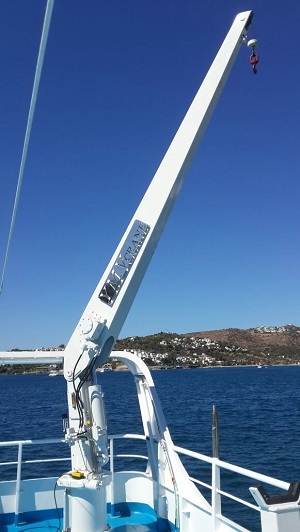 YMV Yacht davits can be hydraulic or electric driven, boom outreach is between 2,5 -7 Meter. Control can be local or remote or from bridge. Power pack can be installed in body of crane or under deck.